Dr. Earl and Dr. Gary pride themselves on learning the most current and state of the art treatment techniques available in dentistry. They have trained with some of the worlds most prestigious instructors and enjoy offering the best that dentistry has to offer to there hometown of Salina. They strive to make sure that every patients wants and needs are addressed and that patient comfort always comes first. Dr. Gary - Graduated from Kansas State University receiving a bachelor's degree in Biology. After graduation Dr. O'Hara earned his Doctor of Dental Surgery from the University of Missouri-Kansas City School of Dentistry. 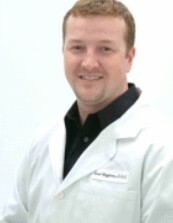 Dr. O'Hara is a member of the American Dental Association, Salina Dental Society, and the Kansas Dental Association. I graduated from the University of Missouri - Kansas City School of Dentistry, one of the best in the country. As a classmate of Dr. Earl O’Hara’s, we have known each-other for over 15 years. I have practiced over 9 years and study several post graduate courses in hundreds of hours of continuing education each year since receiving my D.D.S. degree. I hold memberships in the Kansas Dental Association, American Dental Association, and the Fifth District Dental Society. My primary concern is patient comfort as well as keeping up-to-date with the latest advancements in dentistry, in order to provide my patients with the best quality of care in the field. I have a wide range of experience in different areas of dentistry, from simple routine restorative dentistry to surgical treatments and lifelike, cosmetic teeth replacement. My approach to your treatment starts with patiently listening to you. Then, after a complete and thorough examination, I review and discuss the diagnosis and treatment options with you. I grew up in Andover, Kansas, and received my B.S. from Kansas State University. I have lived in Kansas City since 1998 and owned a private dental practice in Overland Park. My wife is from Minneapolis, Kansas. When not practicing dentistry, I enjoy spending time with my wife Brandee of 12 years, 7 year old twins Ava and Carter, and our family pups Duffy and Dash. My hobbies include fishing & hunting, attending custom car shows and races, watching NASCAR, the KC Royals, Chiefs, and especially K-State football ! I am happy to return to a smaller community to raise our children, and enjoy Salina’s many opportunities for involvement and activities like my wife and I had growing up. I look forward to meeting each patient and helping you maintain a great, healthy smile.